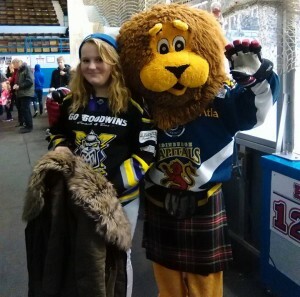 Twelve months ago ice hockey, for me, was just a distant memory, albeit a happy one. 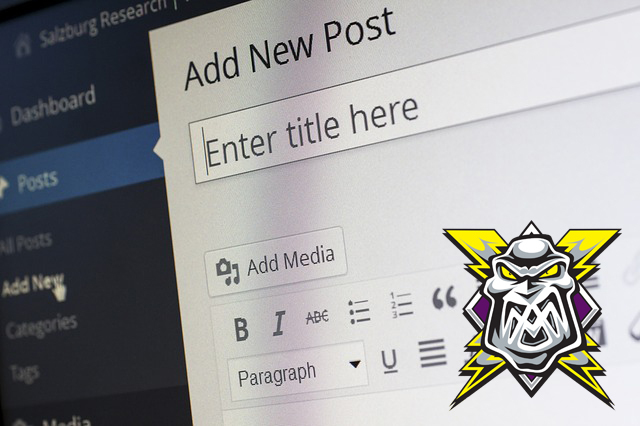 League titles, cup wins, record crowd, Ruby’s shirt retirement, a few of the stand out events from my time watching the old Storm at the Arena. 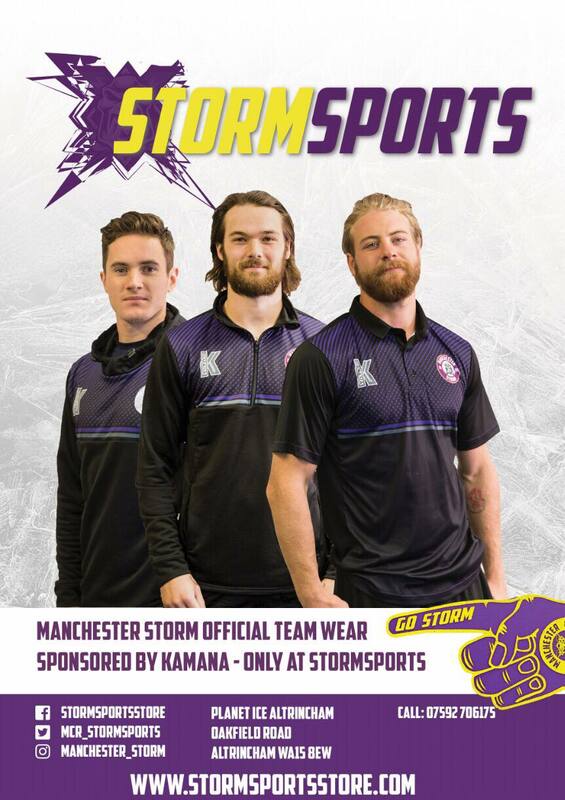 Being an avid sport fan, hence my Twitter moniker of @sportsmadste (other social media platforms are available), I was intrigued to say the least when I read the sports headlines in the MEN last summer declaring that Storm would be replacing Hull Stingrays in the Elite League. How could a club just created be expected to compete in the top flight of hockey in a matter of weeks? 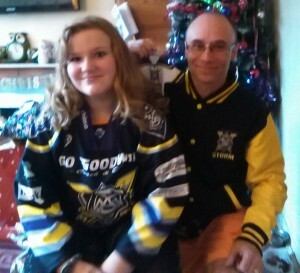 Would the new Storm reignite my passion for hockey? Only one way to find out, head to Altrincham for a game. I wasn’t able to attend the first ever game due to other sports commitments, I am @sportsmadste for a reason. If I was to give the new franchise a go, what better opposition than the men from the other side of the Pennines to see if the passion for hockey could be rekindled. A pre-season game it may have been, but when it’s Sheffield, it doesn’t matter, we want to beat them as much as they want to do a number on us. The familiar beat of the drum, Jon Hammond on the mic, Lightning Jack brought all the memories flooding back. On ice we gave a good account of ourselves, despite being short benched, losing narrowly. I was impressed with the whole experience, enough to give it another try. A future fan of the week, my Grant Toulmin loving daughter Ellie loved it too, her previous dabble into watching hockey lasted two periods, so it was a thumbs up from both of us. Fast forward to March 2016, just one home game missed, not through choice, a faulty cooker preventing us from 100% attendance at league games. Add away trips to Steelers x 3, Blaze x 3 and single trips to Nottingham, Braehead and Edinburgh, I guess you could say I’m hooked again. Despite all the previous highlights mentioned watching old Storm, I feel very much more of a part of the new Storm than old Storm and that’s not a criticism of the past either, just an honest opinion. How can being part of a club that finished second bottom in front of excellent 1,200 plus gates inside one season, be better than a watching a club win trophies in front of thousands more at the “big arena”? Simple, it is just down to people and the personal touch. We (Ellie and myself) have met so many people this season who have gone on to be good friends with from the volunteers to Clare and Simon of The Forecast and StormLive fame! The players have not only delivered some great moments on the ice, but have been so obliging and given their time to the fans after the games win or lose. I sometimes wonder if Mr.Toulmin ever gets to the bar given the amount of time he gives to the fans! In Neil Russell we have a hard working, personable GM who has helped make season one of the franchise a big success. Finally, the highlight of the season for me, strangely is a defeat, Blaze 6 Storm 2. I was so proud to be part of the 300 travelling army for the last game of the season. The game was a dead rubber, but 60 minutes of non-stop singing from a full away section was just a wonderful way to end the season, a celebration that Storm are back. See you next season #StormFamily.